Read your Sun Sign and Rising Sign for some clues as to what would make a great vacation for you! ARIES: The Mars energy always goes with you wherever you go. However, a calm, quiet resort would certainly be a good contrast to your usual day. You tend to pack in a lot of activity and excitement. You may enjoy exploring the back roads and finding something new and different. But instead of always looking for some excitement going on, you would really benefit from a complete change of scene. TAURUS: It’s usually a tropical island or a cruise for you, where someone else is planning the activities and serving the meals. You want to sit and recharge and just release your tension. You often bring the family, but try to have one short period of time along without the kids. Pass up the temptation to vacation with business friends. Try to break the rut of always going to the same place every year. Explore somewhere new every so often and try new places to eat. See how great you feel! GEMINI: You dream about your vacations, imagining the ‘perfect’ trip. You tend to make plans and then change them or add in another stop, because your ruler Mercury lends some changeability to your nature. However, this also affects others who are going with you. You like taking tours, but it would be good to stay longer in a place so you can absorb what you are seeing more fully. You like to read and also chat with those you meet. Rent a bike or motorscooter and see things along the way. CANCERIANS: You really love to travel but usually like to keep some days to relax at home. You might take short trips, returning to sleep in your own comfy bed. Some take half the day just getting out the door and wonder why they don’t see as much as they had hoped. Plan a start time and take time to choose where you would like to eat since you are a foodie. You need to plan ahead and not get too emotional if things don’t always go as you’d like. Travel near water or somewhere romantic. A cruise would be perfect! LEO: You love warmth, being a child of the Sun. Also, you love bright lights and sparkling people. Discipline yourself to save the money to enjoy the comforts of a lovely, luxurious vacation. You would love to rub shoulders with celebrities and lots of night life. Getting a good suntan on a beautiful beach suits you. Give thought to the clothes, jewelry and shoes that you will need, because you are inclined to over-pack. Allow your family or co-travelers to have a say in where they would like to go. VIRGO: You tend to wait too long to accumulate the funds or the time to take a real vacation. But when its time to go, you really might surprise your friends with the great trip you plan, like maybe a safari in Africa or an exotic flight to some tropical island. You will feel you are making up for lost time! Take a lot of pictures and enjoy some extravagances. A new side of you will emerge and then later you will enjoy reminiscing about your trip for many years. LIBRA: You have trouble deciding where to go and then might still change your mind, or sometimes circumstances cause you to cancel your plans. If someone raves about a place they have visited, you are influenced to go and see if for yourself. Do plan relaxation time and forget about those tours that cause you to rush. Go where you can be waited on and pampered. Your ruler Venus wants you to have all possible comforts, including fine food and interesting companionship. Bring a lot of money, you’ll need it! SCORPIO: You need a vacation that provides beneficial changes to your usual routine with results that last all year. You can fall in love with a special place and even have a holiday romance if thats your style. You plan dramatic, intense vacations with many adventures. Save unnecessary emotional upsets by realizing that vacation romances are usually just that. Choose holiday companions with discretion. Foreign countries attract you and music festivals and theater performances. Music and drama are a great relief for your moody and secretive nature. Your ruler Pluto seeks vacations that may have some danger involved somewhere on the trip but take care not to return all tired out. SAGITTARIUS: You love action-packed vacations and participating in or attending sports events. The mountains and rugged outdoors attract you. You require challenges and physical activity on your trip. Try not to be impatient with family members or friends who need time to enjoy some relaxing time on a beach. Take separate vacations occasionally. Being so outgoing, you like good companionship and will meet people easily when you travel. CAPRICORN: You need to leave your work behind and don’t read email or answer work related calls while you are away unless you absolutely must. You look so forward to escaping work but often bring projects along that need completing. You need a relaxing vacation almost more than any other sign. Something often holds you back from fully enjoying yourself and this is the Saturn-influence on your sign. You are practical and don’t always want to spend money on frivolity, which can impede full enjoyment for you. But it’s money well-spent for you because you are such a hard worker, that you deserve a break. AQUARIUS: You are probably the most spontaneous traveler of the zodiac. Uranus your ruler often erupts suddenly in your life and being a humanitarian, you may find yourself visiting or helping a sick friend or looking after a family member. This frequently cuts your vacation time short for your own relaxation. Sometimes you have to forego your original plans due to unexpected events. As you age, you will spend more time relaxing at home, but its better to get away and unwind where there is peace and quiet and also meet interesting people who will provide an interesting discussion with you. PISCES: You like to plan fabulous vacations with romantic appeal and water nearby. You like new places and can enjoy yourself no matter where you go. You don’t want to be cramped and so will choose spacious accommodations. You like a mix of pleasant company and also lots of time for quiet introspection. You are quite impressionable so choose your vacation spot wisely. You always meet people and you know money spent on vacations can save money spent on doctors. Vacations are so therapeutic for Pisces that they need to get away as often as possible. Doesn’t this put you in the mood to plan a trip somewhere? June opens with many changes in the planetary energies! Mercury moved into Gemini where it is very much at home. 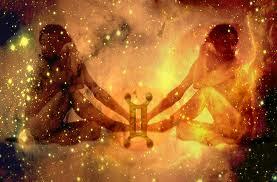 Mercury rules communications and Gemini is the sign of the communicator! Lets all talk!! Venus moved into Taurus where it is also feeling quite homey. Venus is the planet ruling Taurus. Venus is love and money and Taurus loves handling money! Mars just moved into Cancer and will energize Cancerians and get them busy with their projects. Cancer softens Mars competitive and often combative nature. Jupiter went Direct today after being retrograde for 4 months. He is in Libra at 13 degrees as he goes Direct. Get ready Librans for some positive forward movement finally. Everyone else look and see where 13 degrees Libra falls in your birth chart, That’s where you should see things start to pick up for you in beneficial ways. We also have a Full Moon at 18 degrees Sagittarius tomorrow June 9th and it pushes us to seek adventure and broaden our learning through our emotions. This will mostly affect you if you have any planets in Sagittarius, Gemini, Virgo or Pisces (all the mutable signs) between 15 and 23 degrees. Lots is shifting in the heavens for us to experience in our lives. If you want to know specifically how all these changes will affect you and want your chart done, please check my Pricing Schedule found on the menu bar above. Wishing you happy times ahead! The Astrology Game of Cards: A good place to begin to enjoy the Basics of Astrology! There are 4 cards for each Zodiac Sign in the above picture. Notice that on the left column, the Number cards start at the 1st sign Aries and go down to the 12th sign Pisces. Each of the other columns do exactly the same, showing them in order from Aries to Pisces. Shuffle the cards and find one card for each of the different types. Then sort all of the cards into different piles; each pile made up of the same kind of card. Then, starting with the Number cards, sort that pile into the order of their place in the Zodiac. Notice that at the very top are two of the Helper cards…one showing the Order of the signs, and the other is an example of a Horoscope Wheel. The helper card should now be used to help you sort each of the columns from Aries to Pisces. If you play with the cards this way a few times, you will rapidly become familiar with them and this knowledge will be helpful as you begin to play all the fun games to follow! If you look at the Symbols cards, you will learn the dates that each sign falls within. e.g. Aries falls between March 22 and April 20th. ( The dates for each sign can change according to your year of birth. Birthdays on a cusp need a Birth Chart done to determine their actual sign. e.g. the beginning or end dates could change if you were born close to the beginning or end of a sign. Now that you are familiar with the cards, a great game to start with is the “old fashioned” game of WAR. After shuffling, the deck is divided between the players. Without looking at their cards, each player simultaneously plays their top card and the highest sign takes all the cards (Pisces being the highest card for this game). If there is a tie, each then lays 3 cards face down spelling out w-a-r and turns up the 4th card proclaiming the word war and the highest card takes all cards in that play. The largest pile wins! Now you are ready to play some more great games! See my Blog on How to Play The Astrology Game of Cards, which is also on the Menu Bar. We recently had the ultimate retrograde experience! My husband and I really needed to upgrade my Galaxy S3 and his Iphone S4 phones which were three years old and giving us trouble. So when my husband stopped at the phone store to get help with his ailing phone and learned about the special promotion to upgrade cell phones until Christmas and pay just an additional $10 a month, he called me and was going to order one for himself . We would return in the morning to get mine! However when he went to sign paperwork, there was nothing in writing about the special pricing and he decided to go home and check with the carrier about that. I knew that Mercury was to go retrograde and we would be in the shadow (slowdown) period, but thought maybe it could work out, still being 3 days away. It does affect signing contracts as well as communication equipment. But, this deal would be over if we waited until after January 8th! He called and they told him this was definitely the current promotion, so we went to the store the next morning but could not seem to get waited on. They were very busy and so we left after an hour. We went home and went on their website to order the phones, but the screen kept locking up or timing out. We got a salesperson through the website and she tried guiding us through the process unsuccessfully. She gave us a number to call to place our order. After being on hold over an hour we got a rep and placed our order for new phones.. We then had to go to our email to find a link to accept the contract. The contract was the standard one at full price and we questioned having to sign a contract not stating the price we were to be getting.. We could not complete the transaction because the screen again kept locking up or timing out. That person told us to close and try again, which we did, once again unsuccessfully. Next we were transferred to a Tech and at this point it was about 1:00 in the morning! If there had not been such a huge savings, we would have quit right there. This guy was actually from Global Tech and assured us we would get this special price. He said he had just ordered 3 new phones for himself and his family and would check his personal email to see if his confirmation stated the sale price, and we went on hold. Naturally he could not access his emails. We were told they were doing maintenance on the website due to the heavy traffic. He said he did not see that our order had been placed, although we had been assured by the first Sales Rep that it was placed and just would not be shipped until we accepted the contract on line. He put the order in for us and promised it would not be duplicated. We accepted the terms on line and he said they would ship free by Fed Ex in 2 days. At 2:15 am we were finally off the phone! I must add that all the reps were more than helpful. The big sale coupled with all the retrograde issues made for a heavy load for them. Our phones did arrive in 2 days and we set about to transfer the old phone information over to the new phones. Of course mine would not transfer. We called Customer Service and she asked for all the numbers on the box. The rep got the transfer process to start by giving the phone a bump from the office. She stayed on the phone with us for 30 minutes until she had to go home. It was still not finished. She promised to call us the next day to see if all was well, which she did! Even though I had charged the phone fully after opening it, the phone ran out of battery life. Sigh! I plugged it in and went to bed. In the morning when I unplugged, it appeared that everything had transferred over, except my pictures. But I found them later in the cloud. My husband also had some trouble getting his phone transferred and had to restart it several times before being successful. Note that in our email confirmation, we did get credit for the promotional savings! Now after a week, things seem to be working and we are really enjoying our new phones. We did pay a price in time and frustration due to the timing with pesky Mercury. I thought the details were interesting enough to share with y’all! MERCURY IS GOING RETROGRADE ON DECEMBER 19th!! With Christmas coming and so many electronics and mechanical things being purchased as gifts, you do not want to get these types of products during a Mercury Retrograde, nor even 2 days before or after in the shadow period. Mercury goes Direct on January 7th. Hopefully you have already made your purchases for Christmas. You could be lucky, but frequently communication devices and other electronic equipment purchased during these Retrograde periods do not work properly or need to be returned for some reason. This applies also to cars and many mechanical products. Another thing is that Mercury Retrograde often delays travel and causes all kinds of miscommunications to occur. Do not sign contracts unless you check them over very thoroughly before signing; sometimes there is no choice! Often messages get forgotten, or folks forget to call you back. So, if you don’t get a return call, please make the call again. Avoid December 17 – January 9th and even allow another day or two on each end to be sure! I will definitely be going out tomorrow to buy a new phone. I would not have waited even until now but I just learned there is a great sale going on so I want to take advantage of that! Let me know if you find this to be true if you do shop during these dates. I always appreciate feedback! Mercury and Jupiter – Enjoy Your Rest! Mercury is going Retrograde again as it does four times a year! (from 1/5 through 1/25 when it goes Direct). Mercury rules our thoughts and speech. A reminder: Always read important documents over carefully and don’t sign contracts or make new commitments if at all possible. If you must, just be sure to get a second opinion and pay extra attention to details. Negotiations can go okay if you very aware of what is being said, but try and wait before making final decisions. You could forget some of the important details and misunderstandings can easily occur. Retrograde planets can certainly have a positive side. We get another chance to back up and redo things and they can wind up even better than before! You could figure out what hasn’t been working very well and implement some new changes. This is a great time to reorganize your life. Friends from the past and even former clients often pop up unexpectedly! This can be a very positive experience for both of you. So, remember to read things over very well, especially if you don’t completely understand something. Ask questions and also remember to use spell check. Be especially aware of texting the wrong words if you don’t take the time to read what you said before hitting that send button. Don’t buy electronic equipment, wait a few weeks; often it has to be returned for some reason anyway. This week also sees Jupiter taking a rest (going retrograde) all the way into May, (more like a slow down for Mr Jupiter) from giving out opportunities, growth, expansion and luck. (from 1/7 through 5/9 when he goes Direct). To the Virgos, with Jupiter now in Virgo, worry not, he will be back to either continue what he started or finally get to you. It all depends if the degrees are early or later in your chart. If you are a Virgo or have Virgo Rising in your chart, think back to twelve years ago, as to what was happening in your life, and you will get some idea of might be happening for you. Wherever you have Virgo in your chart, in whatever planet or house, something there will enlarge or expand as Jupiter connects at or near those degrees. And, lucky me with Virgo as my Rising Sign (also called the Ascendant). I have been having a pretty good year so far and I am expecting things to pick up in May when Jupiter moves forward again. Jupiter completes his one year journey in Virgo on 9/10/16 and will then enter the sign of Libra for one year! IS ASTROLOGY TRUE? DISCOVER THIS FOR YOURSELF! I like what Derek and Julia Parker have to say in one of my favorite books, The Compleat Astrologer. Astrology has always served to enlarge our understanding. 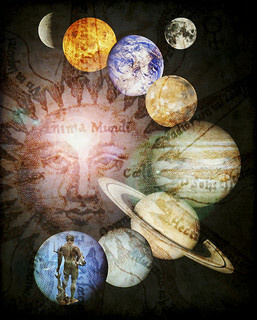 Changes have been made in recent years that promise to have a major effect on the progress of astrology; the new directions it can be expected to take, and the attitudes people are likely to adopt towards it. These changes are mysterious and illuminating. Progressive astrologers, attempting to relate astrology to a science-oriented society are working with hardheaded scientists. Looking at other points of view, common ground has been discovered in the field of biological rhythms and cycles, enough to show that astrologers and scientists are becoming very compatible. The age of Aquarius holds a new fascination for the younger generation in search of meaning, although astrology is for people of all ages and generations. It knows no cultural or age differences. Astrological truths are for all of us and hold us all together as a human family. But is astrology true? You must discover this for yourself. No one can be persuaded simply by being told about it. You have to choose to learn more about it. 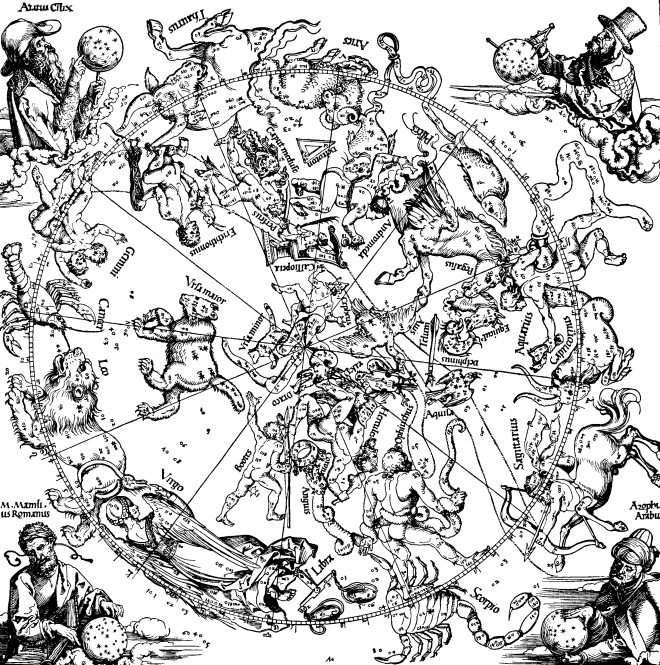 To understand the influence of the heavenly bodies on mankind, we must understand the science behind astrology and the techniques of its art. Astrologers honor and respect the truths of past masters. We want to cast a deeper, clearer light on human life. A star was the ancient Sumerian symbol for divinity. The stars provided a very impressive background to the interaction of other celestial bodies. 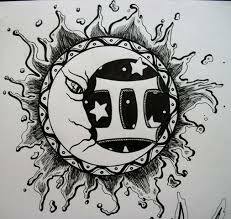 Today we are naturally aware that the sun and moon exert a strong physical influence on our lives. Back then, the Sun kept people warm and faded in the winter; day alternated with night, the sea rose and fell with the tides. These were mysterious processes of growth and decay, and the ebb and flow of the natural order helped provide a physical explanation of the universe. From the viewpoint of earth, the stars turn around us in the pattern that is virtually unchanging from one year to the next. The shifts that constantly occur were so slight that they were hardly noticed by the earliest observers. The seven major bodies were noticed because of their rapid movement against the starry background of sky. Early observers noticed the Sun, Moon, Venus, Mars, Jupiter, and Saturn. In Babylonian times there are stories written about the planets, sun and moon representing gods with the power to direct or intervene in life, each one being allocated power over an area of human experience. For example, Mercury was seen as a quick, cunning and wise god. Mars was the ruler of violence and war; Jupiter was a benevolent king-like ruler of men; Saturn was seen as a distant cooling sun in exile; quick-tempered and cruel. Gradually, as these associations gained in authority, they were joined together to form the basis of astrological lore. 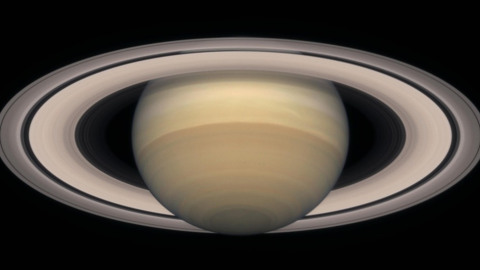 To add a little humor, today I saw this written: God made the planet Saturn and he liked it, so he put a ring on it!!! 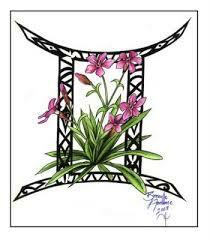 Gemini is a mutable air sign ruled by the planet Mercury. (May 21/22 to June 22) Geminis seem to change their minds and their opinions frequently. There is a lot of talent for speaking and writing and all communications in general. They know a little about a great number of things and use this knowledge so skillfully as to seem very well-informed. The ability to bluff their way out of a tight corner is amazing! Friends and family often wonder which twin is showing up on any given day! Gemini is adaptable, versatile, intellectual, witty, logical, spontaneous, lively, talkative and amusing, always youthful and up to date in appearance and outlook. 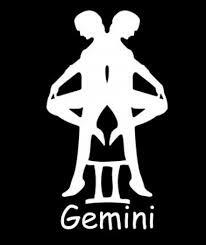 Gemini is also changeable, restless, inquisitive, inconsistent, and nervous. Many Geminis are newscasters, journalists and TV reporters. There is an insistent urge to communicate. These are the folks that like to write letters to the press and comment on articles online. They also enjoy appearing on TV chat shows, addressing meetings being guest speakers. Their ideas must be spread about in one form or another. (This includes the Gemini Rising folks)! There is a duality about the Gemini nature; they love to do more than one thing at a time. In fact, there is a strong need to do so. Gemini is always on the go. They can easily become bored and drop whatever they are doing and turn to the next job or project. They seem to live on their nerves and they need to be careful not to over-work their high-strung nervous system, which can easily break down under pressure. Although it is not very obvious, they are a very sensitive zodiac sign! 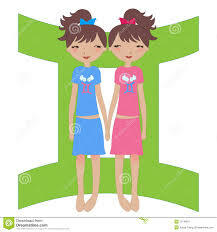 Gemini is considered to be the most youthful sign in the zodiac. Gemini has rule over the nervous system, the arms, shoulders, hands and collarbone with vulnerability to breaking any of these. The sign also rules the lungs and colds can easily develop into bronchitis if not taken care of. Many Gemini’s will have several occupations during their lifetime and some even work two jobs at a time. Gemini careers include: journalists, newscasters, commentators, teachers, lecturers, writers, linguists, secretaries, administrative assistants, travel agents, limo drivers, commercial travelers and explorers, crafts, and work for the post office or telephone company. They need to avoid working in one environment or doing work that is tedious or boring and they need to always be studying and learning. Languages especially will appeal. Physically they are generally slim and quick moving. The lighter sports are better, such as skiing, archery, table tennis, fencing, golf, badminton, track racing and regular tennis. Favorable climate: Any cool, temperate climate. They rarely thrive in tropical heat. It’s best to locate within easy access of water and places where there’s a social life. Favorite flowers: Yellow roses, jasmine, honeysuckle. Scents: Floral-based colognes, bayberry, sandalwood. Best day of the week: Wednesday – associated with Raphael who helps with inspiration of the written and spoken word. Favorable precious stones: Aquamarines, crystals, diamonds. Favorable colors: Yellow and blue with a tendency to blend colors into plaids and checks. Musical keynote: They vibrate to “E” or “Mi”. Best number: Planetary number is four. Necessary herbs: Bay leaves,caraway seeds, licorice, endive, parsley, dill and clover. Favorable Trees and Plants: Juniper trees, most nut trees and tropical trees. Wines and Liquors: Champagne, sauternes, rich golden wines and liquors. Note: Gemini’s seems to have always produced the largest number of natural multiple births….kind of fits, being the sign of the “twins”. Of course this was before Invitro fertilization methods, which will often produce multiple births. Recalling the famous Dione Quintuplets — Cecile, Anette, Emilie, Marie, Yvonne – born in Canada on May 28, 1934.